In the neighboring state of Rhode Island, a new law went into effect, which allows a judge to sentence any repeat offenders or drunk driving offenders with a blood alcohol concentration (BAC) of more than two times the legal limit to having to get a vehicle breath interlock device installed in his or her car. This means that if the driver wants to start his or her car, he must blow into the device and show a clear reading. 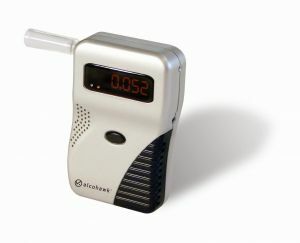 The device can also require the driver to blow into it whenever stopped or at certain random intervals to prove sobriety. While the Rhode Island law is for repeat offenders and those with extremely high BACs, the Massachusetts legislature is proposing a new law that would require vehicle breath ignition interlock devices for anyone convicted of a operating a motor vehicle under the influence of intoxicating liquor or drugs (OUI), according to an article from ABC News. For those that are not aware, the Massachusetts uses the term OUI for what most other states call a DUI or DWI, but it is the same charge. Those who support the law say, if you look at other states, particularly those in the southwestern United States, where these vehicle ignition interlock devices have been in use for a long time, they have seen around a 33 percent reduction in drunk driving offenses each year. If this could happened in Massachusetts, that could mean a significant reduction in Boston drunk driving car accidents, which would mean many families would not have to suffer the tragic consequences of the poor judgment of a person who chose to get behind the wheel of a car while drunk. One of the major problems with making vehicle breath ignition interlock devices a requirement for all drivers convicted of drunk driving is the cost. Many people who have lost their license after a drunk driving accident do not even own a car. Similar programs in other states have actually required people to purchase a new vehicle and install the device even though they do not have a license. Additionally, these devices cost around $300 to install and then the offender has to pay as much a hundred dollars per month to have the device monitored by a third party, who reports the results, including any failed tests, to the Massachusetts Board of Probation. While it may seem like there would not be a lot of sympathy for drunk drivers who have been arrested and who may have caused serious personal injury or death in drunk driving accidents, there are not many in government who want people to lose their jobs and no longer have the ability to take care of their families or be productive members of society. This is one of the major issues that has prevented the use of breath testing devices in cars in New England and the Northeastern United States. It should be noted, there is a plan to have vehicle alcohol ignition interlocks in all new cars at some point in the near future. These devices will not require drivers to blow into a tube, but rather sensors on the steering wheel and windshield pillars will automatically test the air around the driver.